Description: Looking northwest at modest Queen Anne cottage at 503 North Lawrence Avenue (now Broadway). Identified as residence of early Wichita settler and prominent physician, Dr. A. H. Fabrique. 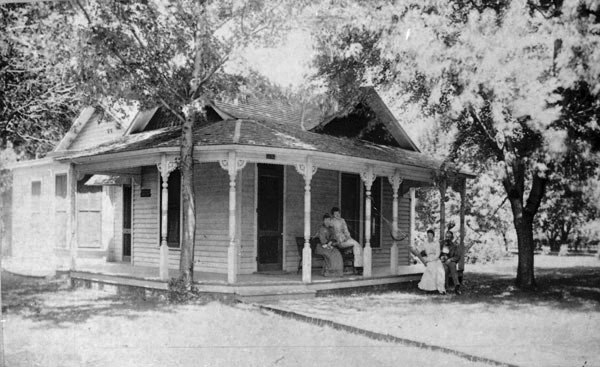 Family members are gathered at the porch. Keywords: Architecture, houses, people, Wichita.